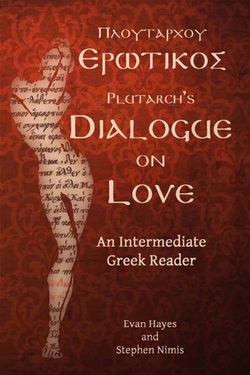 The aim of this book is to make Plutarch's Dialogue on Love accessible to intermediate students of Greek. The running vocabulary and grammatical commentary are meant to provide everything necessary to read each page. The Dialogue on Love is a great intermediate Greek text. Its discussion of the merits and pitfalls of passion and desire is grounded in the philosophical tradition reaching back to Plato's Symposium and Phaedrus, but Plutarch's treatment of these themes includes a novel celebration of marriage and the love of women, reinforced by the dramatic setting and background action to the dialogue. It is thus a great example of the imperial period of Greek literature, when figures like Plutarch engaged in a lively dialogue with their classical cultural heritage.